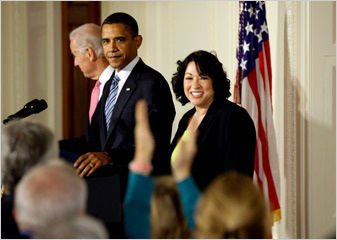 President Obama announced his decision to nominate Sonia Sotomayor for the Souter seat today. Not to defend Scalia’s opinion, but Riverkeeper ran from Sotomayor’s opinion during oral arguments. They probably had to in order to have a chance of winning, but I think she could have written it more convincingly, or at least more clearly. Should State Cap and Trade Programs Be Preempted?